Hi all the first phase of the scrum project is finished. 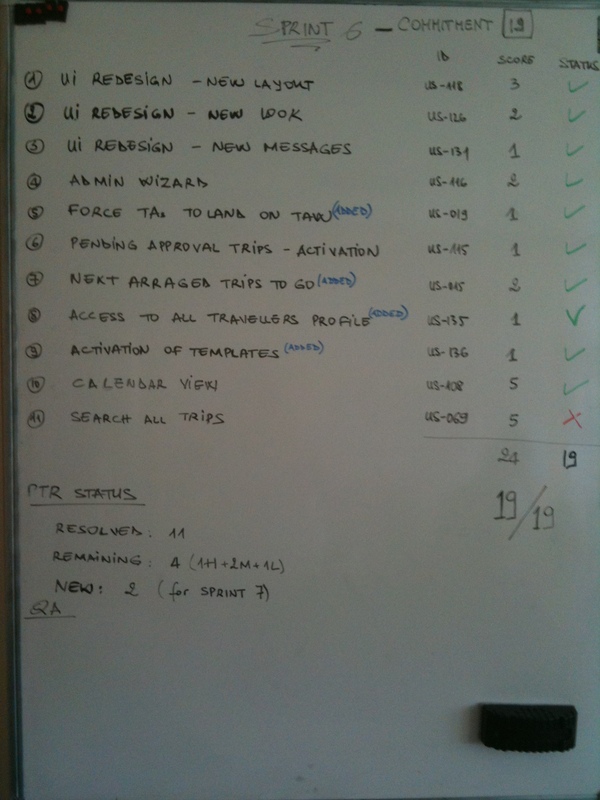 The good news is that next week a phase 2 will start with new sprints to do and new user stories to implement. During these final days of phase 1 we have done an internal assesment on what was fine with the Scrum methodology compared to the standard way of working. We are in the second week of handover. During this sprint of 2 weeks we have only one user story to implement and then we have other general tasks as the delivery our CR to the integration stream. We have also some demos with teams impacted by our changes to show the new functionalities. Phase 1 of our first Scrum experience is almost finished.